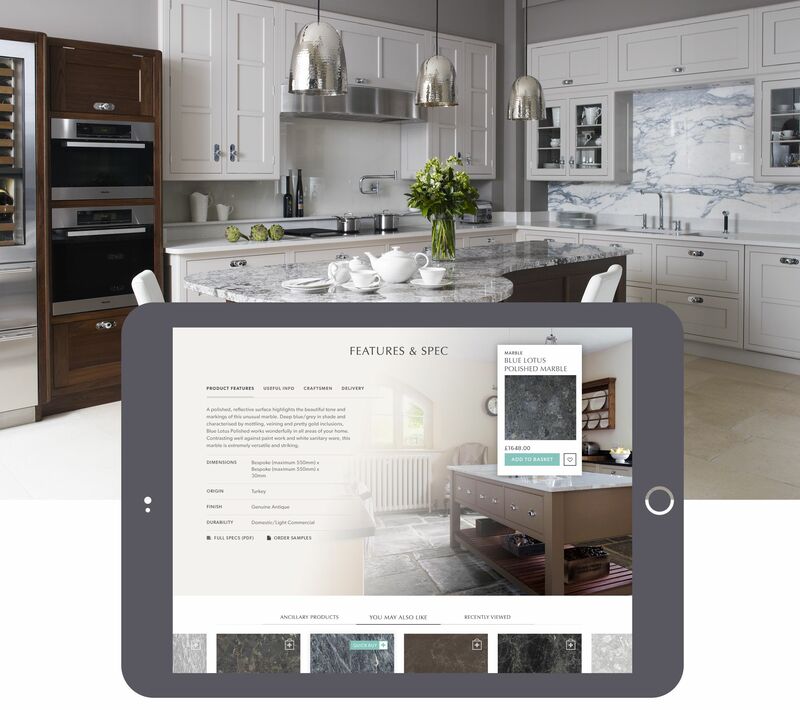 Creating an experiential eCommerce platform while raising awareness of the upmarket stone retailer. Martin Moore Stone offer the widest selection of stone in the UK, and from it create floors, fireplaces and staircases, steps and other bespoke products for customers both at home and abroad. It was important that the new website showcased the quality of not just the stone, but the full service approach of the company, its experience and knowledge. Equally vital to the client was the functionality; it should be easy and quick to find products, order samples or buy from the site. Above all, Martin Moore Stone wanted to see beautifully designed, innovative and impactful communications to strengthen – and expand on – their position as a leading stone company and set them apart from their competitors. 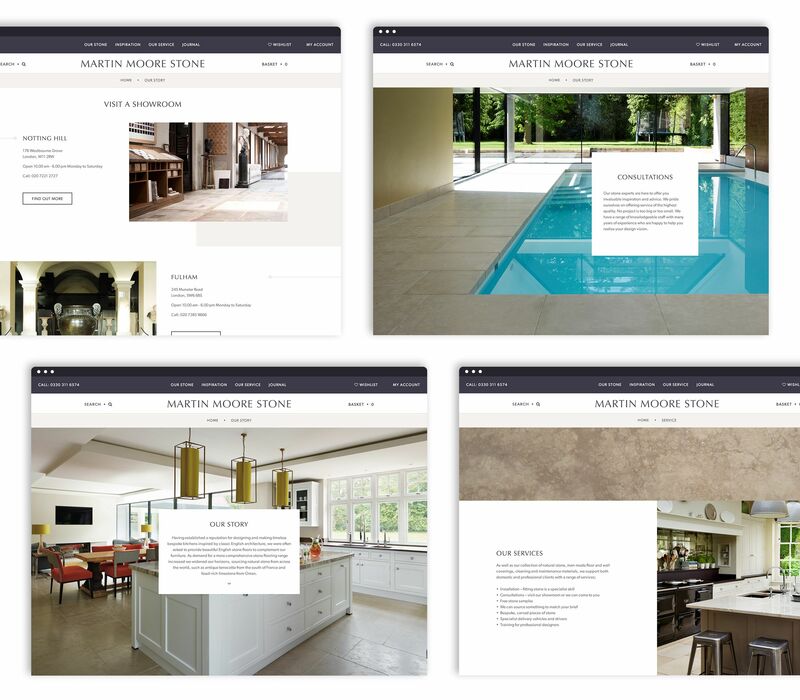 We decided to create a site which would connect with users on an emotional level; immersing them in the unrivalled Martin Moore Stone experience. The design would be dynamic and high-end to reflect the sophisticated yet contemporary possibilities of using the stone, wrapped up in a truly user-centred experience. 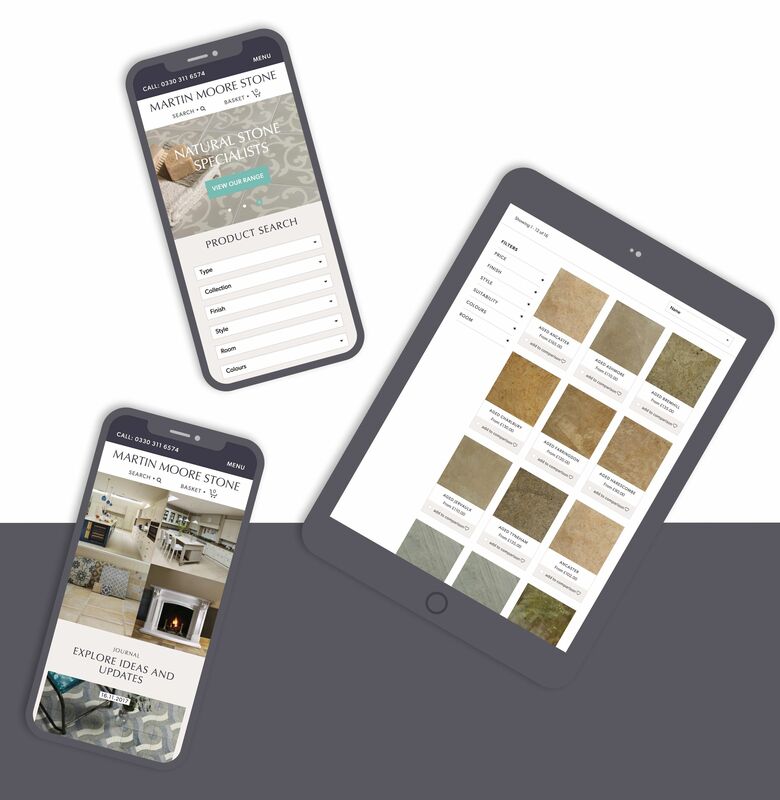 We put user experience at the heart of the website design by creating an exceptional shopping experience, adding features such as Product Search, Comparison and Wishlist. Enticing imagery showcasing the products was central to the design, as was content to educate new and returning customers alike on the story of Martin Moore Stone. We also provided Martin Moore Stone with a framework and ideas for their blog, specifically tailored to encourage inbound traffic and improve their Google rankings.